What The Hell Did We Just Watch?! Lumotional Lou here, and this is the show that spreads Movie Awareness to the world by talking way too much about movies. Join us every Tuesday where I get reactions of people watching movies that they have never seen before. WITh IT dominating the box office after almost one month of IT's initial release, one can only wonder? What does this mean for the Horror Movie Genre as a whole? Will there be any new ground to break in the near future? One can hope. Enjoy!!! 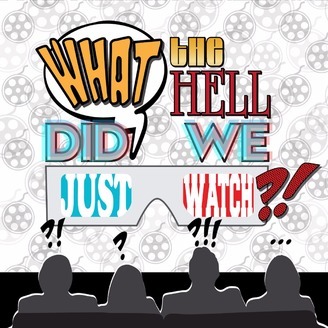 Follow us on: Facebook.com/Whatthehellpcast Twitter.com/Thehellpcast Instagram.com/Whatthehellpcast We also have a YouTube Channel and Sound Cloud Channel. Just put What The Hell Did We Just Watch?! in the search bar and BLAM! there it is. Want to shoot us an email? 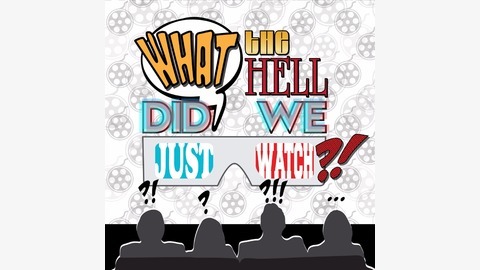 Whatthehellpcast@yahoo.com Whatthehellpcast@gmail.com Whichever FLOATS your boat. If interested in King Kelly music email the show and we shall make sure you get a copy of the theme song and other songs as well.